The activities of Kunjan Nambiar Memorial Society include imparting classes or Thullal, research on Nambiar’s poems, presentation of thullal in schools, training in velakali, chenda, etc. Established by the Government of Kerala, the Kunjan Nambiar Memorial at Ambalapuzha was inaugurated in September 1967. Every year May 5 is celebrated as Kunjan Day and seminars, thullal and other art programmes are organised. In order to document the development and transformation of modern Malayalam language and literature and the place occupied by Kunjan Nambiar in Kerala society, the Kunjan Nambiar Memorial has come up at Killikurissi Mangalam. The government of Kerala took over the Kalakathu Bhavan, the house of Kunchan Nambiar and 56 cents of land around it on 1 September 1975 and converted it into a national memorial. It was in 1955 that for the first time, it was decided to celebrate Kunjan Day as part of Mahakavi Kunjan Nambiar memorial celebrations. The first Kunjan Day was celebrated at Killikurissi Manglam on 5 May 1957. On 27 January 1958, the then Chief Minister, E.M.S Nambuthiripad laid the stone for the constructions of the Kunjan Memorial Library at Killikurissi Mangalam. 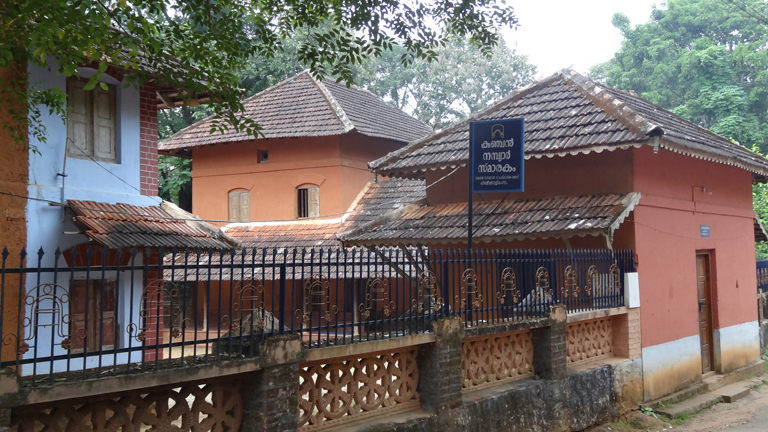 After converting the Kathakali Bhavan and the land around it into a national memorial, the Government of Kerala took over the ancient buildings at Kalakathu Bhavan such as the pathayapura (barn house), serpent grove, padipura (gate-house). The national memorial aims to propagate the ideals and philosophy of Kunjan Nambiar. The activities also include translations of Kunjan Nambiar’s works, their presentation on stage, public meetings and seminars. It has also been decided to build a full-fledged library and organize celebrations on appropriate occasions. Other objectives are to propagate thullal art, and to bring out an authentic biography on Kunjan Nambiar. The Kunjan Smaraka Vayanasala, Kunjan Smaraka Kala Samithy, and Kunjan Smaraka Samithy today jointly celebrate Kunjan Day extensively.